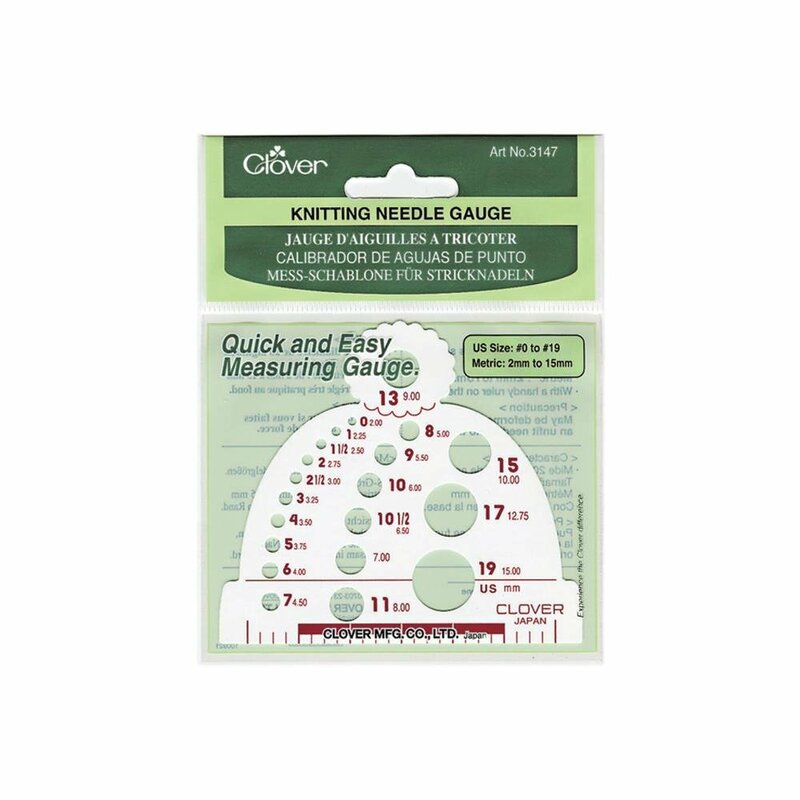 Helps determine the gauge of a needle after the manufacturer's printing has worn off. Made of thin, flexible plastic in the shape of a knit cap. Measures needles from 0/2mm to 19/15mm.